India unilaterally constructs four bridges over Mahakali River - Integration Through Media ....! 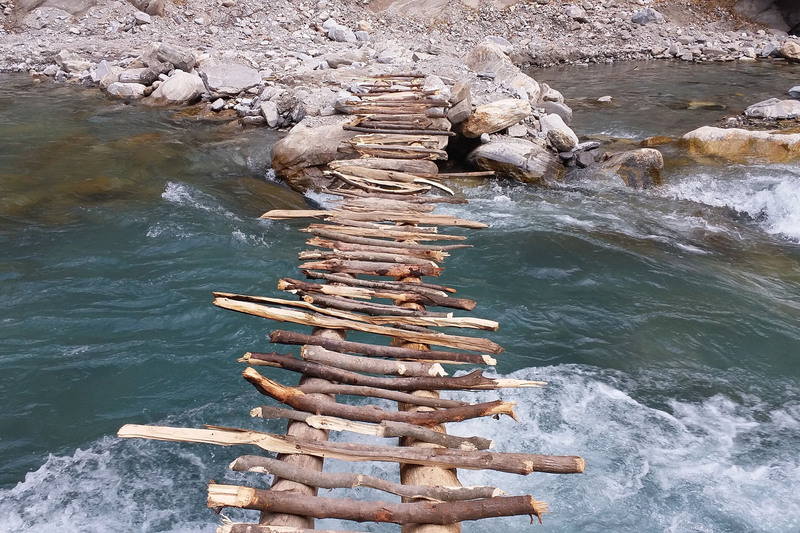 DARCHULA: The Indian side has constructed four wooden bridges over the Mahakali river without the consent of Nepal. India had sent letter to the District Administration Office, Darchula couple months back seeking Nepal’s agreement to that connection. But it has constructed the four bridges without Nepal giving it the consent. The District Administration Office, Darchula has already informed the Ministry of Home Affairs in Kathmandu regarding India’s request. “We have not yet received the approval to this regard from the Home Ministry,” Chief District Officer, Janardan Gautam said. “India should have coordinated with the District Administration Office before constructing the temporary bridges over the river that forms the border between the two countries and also while carrying out any other activities, in view of the security of both countries. But the Indian side did not coordinate with us in this connection,” Chief District Officer Gautam said.